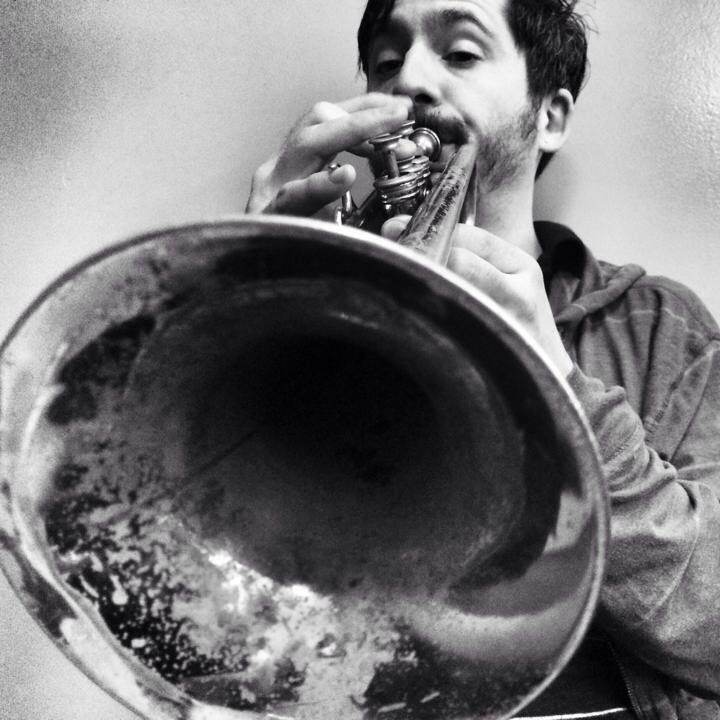 7pm FONT’s Electro-Trumpet Sessions: 7pm, Eric Biondo, 7:45pm Shane Endsley, 8:30 Graham Haynes. 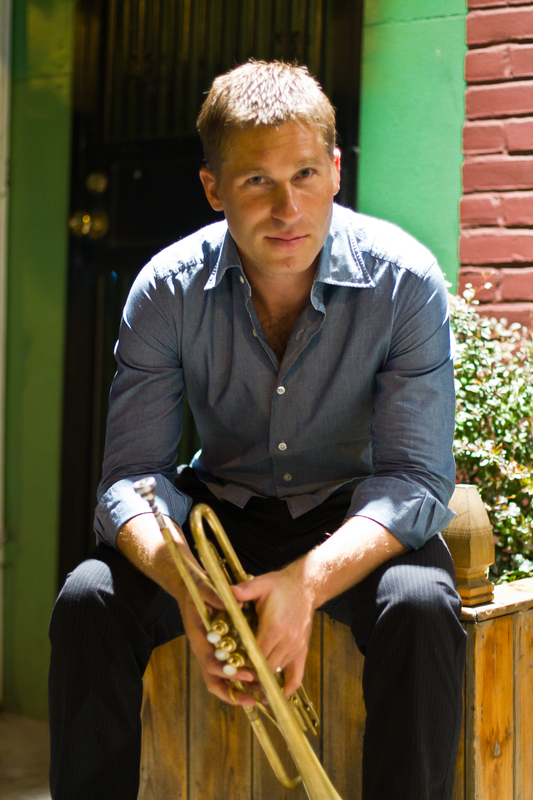 Eric Biondo: This solo performance will be a journey though the land of trumpet choruses. I will be using pre-composed chorus material as arrival points. Like being on tour, the distance between cities has always felt like verse material to me. The suspense of arriving at your destination (chorus) is hopefully full of reward. Improvisation will be the vehicle to transport us from chorus to chorus. The instrumentation for the evening will involve my homemade internally miked trumpet, analog drum machines, piano, looping and percussion. Eric Biondo is a Brooklyn based trumpet player and writer. He is active member of Superhuman Happiness, Beyondo and 178 Improvisation Product. His performance/recording credits include Antibalas, TV On The Radio, Charlie Hunter, The Monkees and many more. Please visit www.ericbiondo.com for more information. Brooklyn-based trumpeter/percussionist Shane Endsley’s an avant-garde, jazz, and post-rock-leaning musician who finds work across a broad spectrum of musical styles from folk to free improvisation. 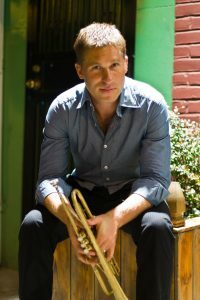 Born in Denver, Endsley studied trumpet, percussion, and composition at the Eastman School of Music. After graduating, he found work performing with several name artists, including singer/songwriter Ani DiFranco and saxophonist Ravi Coltrane. Endsley is a founding member of the post-rock/jazz outfit Kneebody — all of whose members met while attending Eastman — and has appeared on several albums with the ensemble, including the group’s 2005 studio debut on trumpeter Dave Douglas’ Greenleaf label. A regular performer with such downtown N.Y.C. artists as trumpeter Ralph Alessi — with whom he often plays drums — and saxophonist Tim Berne, Endsley released his debut solo album, 2nd Guess, in 2002 on WenEnd Music. 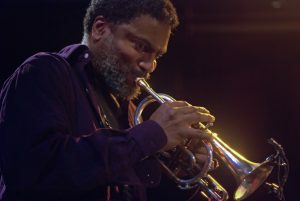 In 2007, Down Beat magazine picked Endsley as one of the Top 25 trumpeters of his generation. In 2011, he returned with Then the Other on Low Electrical Records. Regarded as an innovator on cornet and flugelhorn, an extraordinary composer, and an emerging force in contemporary electronic music and world music, Graham Haynes has redefined and deconstructed that genre we still call “jazz”. Graham Haynes has recorded fifteen critically acclaimed CD’s as a leader and countless CD’s as a side person with such artists as Steve Coleman, Roy Haynes, Ed Blackwell, Abbey Lincoln, Cassandra Wilson, Sting, Butch Morris,The Roots, David Murray, Karl Berger and many, many more top musicians. Since 1986 Graham Haynes tours annually in Europe, Asia, and Africa and has appeared several times on national tv. He is in high professional demand as a musical director and composer by film, theatre, dance and multimedia artists. In 2003 Graham lectured at NYU on the subject of Music and Trance. Mr. Haynes has taught as an adjunct professor at The New School for Jazz and Contemporary Music in 2010 and taught and taught and lectured at Banff Creative Center in 2013.